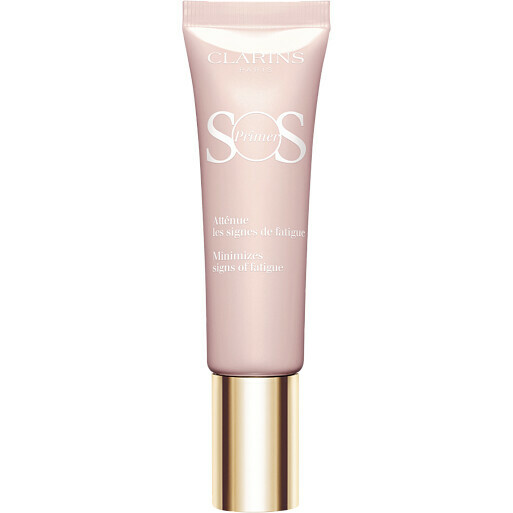 Give your skin an instant pick-me-up with the Clarins SOS Primer, a skincare and makeup hybrid that targets and diffuses the appearance of common skin concerns. 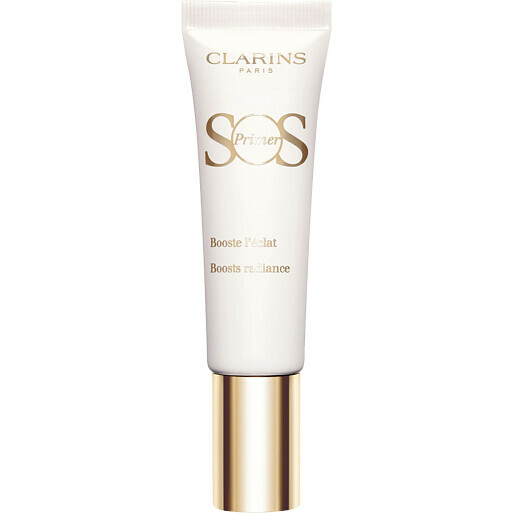 Each Clarins SOS Primer prepares, corrects and brightens your skin, even if you don’t wear makeup. Regardless of the tone or texture of your complexion, the fresh fluid illuminates skin and blurs imperfections whilst providing a smooth canvas for your everyday makeup look. 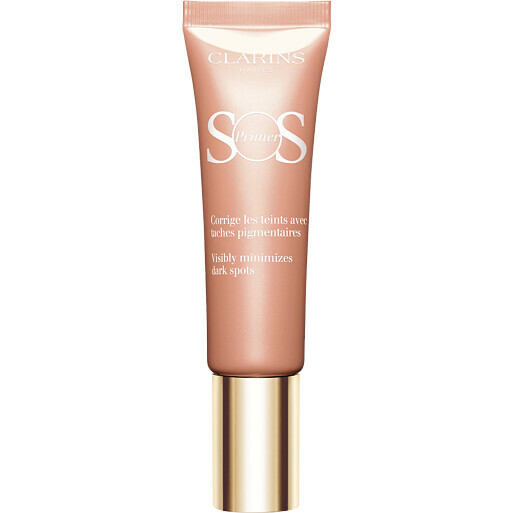 The SOS Primer is infused with the High-Lumitech Complex to neutralize any redness or dullness with light reflecting pearls and powders. Organic sea lily provides your skin with 24-hour hydration with its concentration of skin-plumping hyaluronic acid, whilst the Anti-Pollution Complex keeps skin protected from harmful aggressors. To boost the wear of your foundation, amino acid coated pigments glide over your skin to create a delicate veil of soft, radiant colour that doesn’t leave a mask. 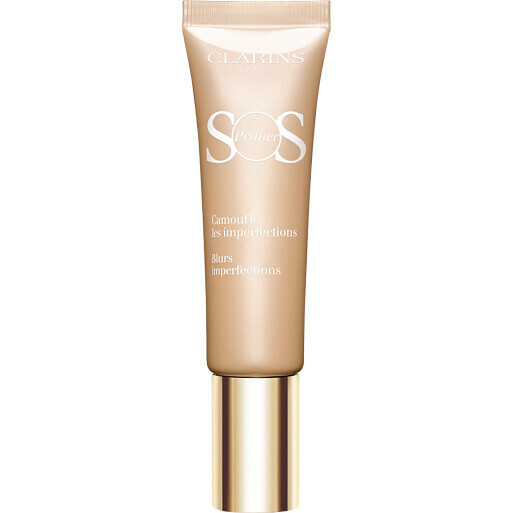 Perfect to use as daily makeup base, as a targeted corrector, or to use in conjunction with each other for multiple concerns, the Clarins SOS Primers will provide your skin will luminous results. 00 Universal Light: Boosts the natural glow of your skin. 01 Rose: Diminishes the appearance of fatigue. 03 Coral: Counteracts the appearance of pigmentation and dark spots. 04 Green: Diffuses the appearance of redness. 05 Lavender: Brightens and balances sallow skin. 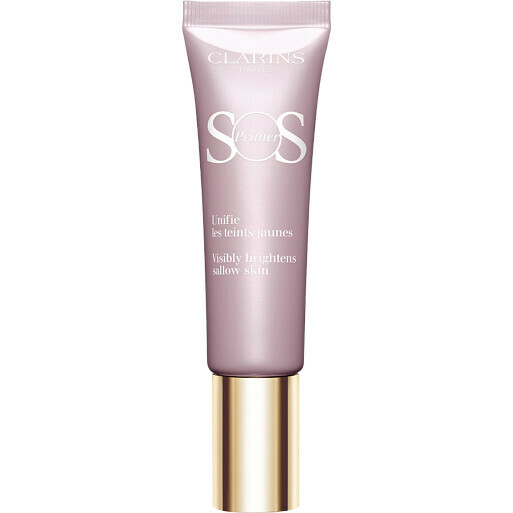 Clarins SOS Primer is rated 2.3 out of 5 by 3. Rated 2 out of 5 by Anna621 from Doesn't do what it supposed to do I've ordered this product cause I wanted to minimize using foundation and stick to tinted primer only. However this primer (peach) has a bit of foundation texture and when I apply it on my face my skin looks oily and shiny and it looks like I applied too much of product in certain places. Rated 1 out of 5 by JB51 from Clarins SOS primer green don't waste your money First of all I must say I use all Clarins skincare and love it. SOS Primer green is supposed to reduce the appearance of redness but it did absolutely nothing for me, complete waste of money. I highly recommend the Escentual website their prices and service are second to none!